About a year and a half ago, a Japanese company called Gatebox released a depressing preview video of a new AI powered “Holographic Wife” that would offer lonely young Japanese salarymen companionship at home. The character is based on anime and stand about 8 inches tall inside a glass box. This week the company finally released their actual product with a slightly less depressing video – so now the “holographic wife” is available for sale for about $1300 USD plus a monthly subscription fee. There have been many recent articles about the prevailing loneliness of many Japanese (often known as Hikikomori, a group I wrote about in Non-Obvious 2017) and the new industry helping to clean up after the many people who die alone. As technology starts to go beyond utility and offer things like companionship, our relationship with this tech will continue to evolve. 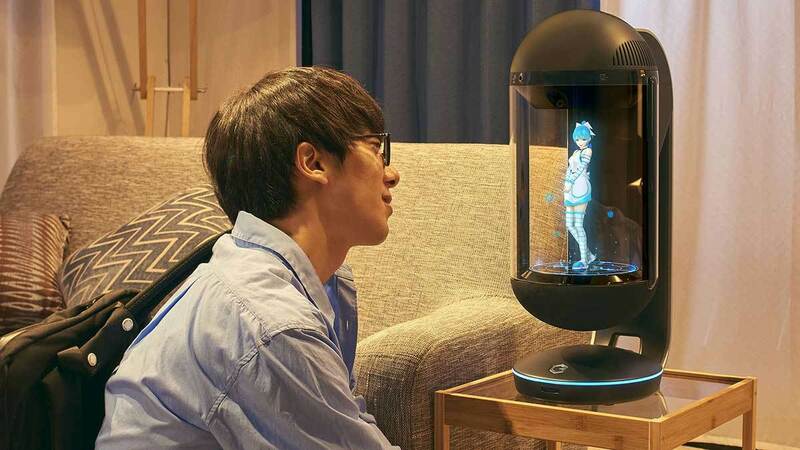 This idea of “holographic wives” may be just the beginning of an entire industry that is increasingly focused on helping people of all ages and genders to deal with the crippling reality of loneliness.